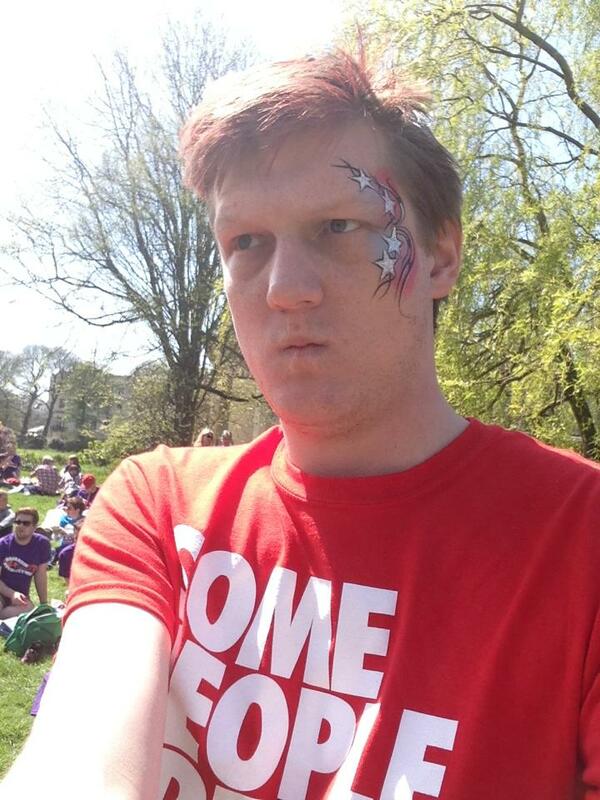 The first of it's kind: a personal memoir from a gay man with borderline personality disorder. Growing up with a Combat Stressed Naval Officer Father, a neurotic Mother who flosses her teeth with her hair and an extended family of alcoholic eccentrics is bad enough, especially on a rough South London estate in the 90s. But that’s only the tip of the trashy Iceberg. Life in such a place is barely tolerable if you tow the line, but Simon didn’t even know where the line was. Gay, precocious and mentally unstable from an early age, he was often at odds with his family and the world around him. From school bullying, psychiatric hospitals and university hi-jinks, Jay tells his story with humour, insight and brutal honesty. This is no misery memoir but a true account of a young man overcoming prejudice, severe mental illness and 21st century society. 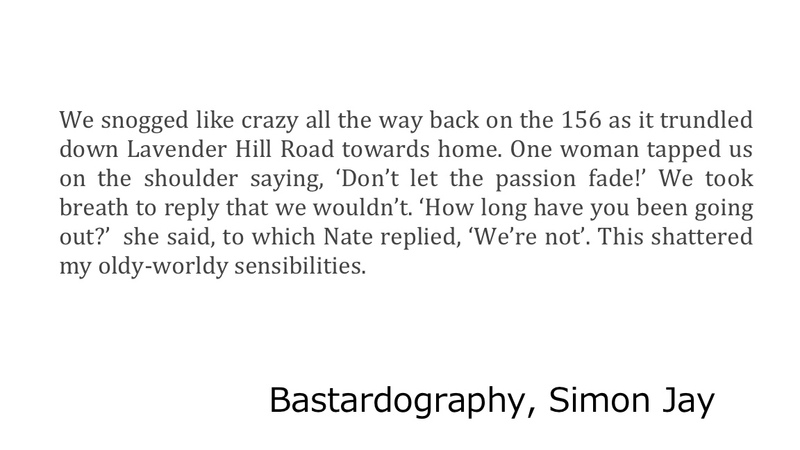 It’s how Simon dealt with seemingly insurmountable problems through silliness and creativity, makes for a compulsive, entertaining and inspiring read. 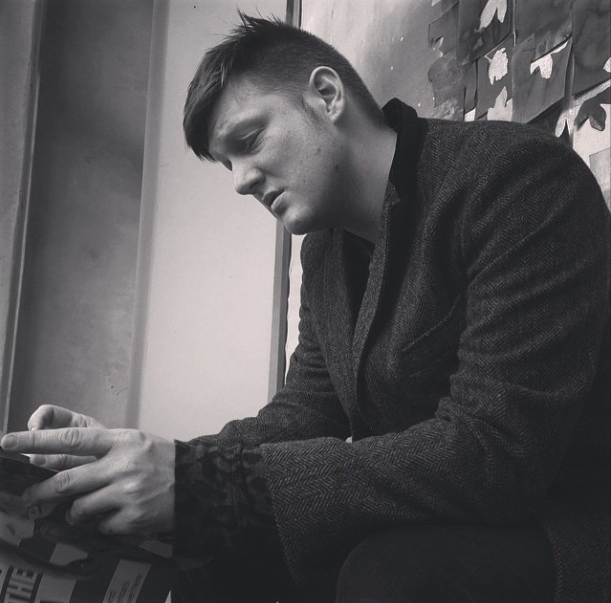 Hi Simon, thank you so much for agreeing to an interview here on The Book Life. First things first, can you tell us what brought you to the decision to write Bastardography? Martin, my friend and former teacher, had mentioned a few times that my waxing lyrical about my experiences, such as being bullied at school or my psychiatric hospital stays, would make for good book. I was somewhat reticent about writing about those experiences, not just because (as much as I deny it) it would be painful but also because I felt I didn’t have the ability to do it justice. Martin kept badgering me to write it and I caved, partly because I thought enough time had past so I could get some perspective on it, but also because I have this lazy philosophy that goes along the lines of ‘if someone asks you to do something, say yes’. When we share what we have written, we make ourselves vulnerable, even with fiction. How did you feel sharing a memoir, sharing the discrimination and bullying you experienced growing up? I was frightened I’d upset people, whether my family, for reading descriptions of themselves, or even some of the darker moments of my life (which I am sure a parent wouldn’t want to read, especially things like suicide attempts), but they are very supportive, good people that understand how important it was to be as truthful as possible. I’ve mentally prepared myself for a backlash, but nothing has come yet, the feedback has been positive, but I am sure something will come back eventually, it’s inevitable, and I am sure it wont be what I’m expecting. The discrimination and bullying was the easiest thing to write about, especially the homophobic bullying at secondary school. It’s been thirteen years since it happened, and I have no association with the area, the place or the time, it’s like another world. It also brought up memories I’d completely forgotten but they weren’t painful, it was liberating really. Some things in my life aren’t in the book, whether because friends and loved ones don’t want to be written about or just because some things don’t warrant the oxygen of publicity. 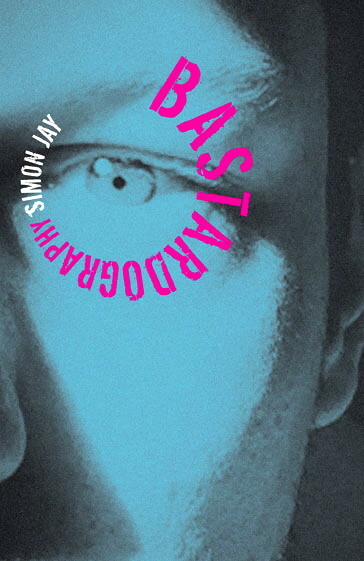 If you could hand a copy of Bastardography to anyone, who would it be and why? Quentin Crisp (google him readers ;)) a memoirist who wrote The Naked Civil Servant and whose philosophy of life has been a great inspiration, he’s been dead 15 years so this is rather hypothetical. Although even if he were alive there’s no guarantee he’d read it as he said ‘books are for writing not for reading’, but I’d love to have heard his opinion on the book, he’d be one of the few people I’d genuinely glee in his appraisal of what I’d written. Many readers who read fiction, have yet to pick up a memoir. Why do you think it’s important to read outside your comfort zone, especially when reading about issues such as the ones explored in Bastardography? It’s very important because if you’ve never read a good memoir you’re missing out on huge area of writing. There are a lot of misconceptions about memoirs. There is this idea of the celeb expose, or the name-dropping gossip or even the misery filled white-covered tomes with a crying child on the front. Memoirs are a great genre of writing. They’re not just about a life-story; they’re about common experiences, anecdotes, conversations, thoughts and narratives that the writer is exploring. 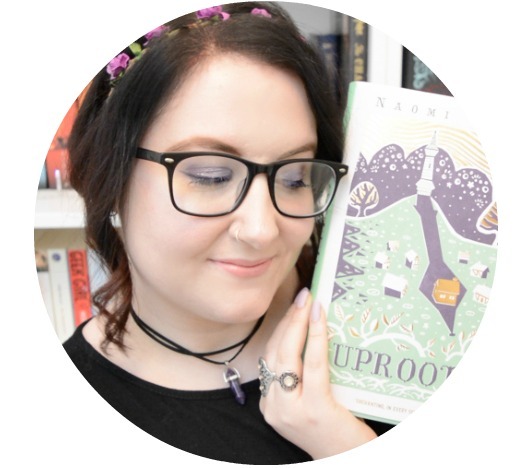 I wrote the book purposefully in a lighthearted style because people can shy away from mental illness, bullying and self-acceptance with one’s sexuality – so it’s an accessible way to find out about this stuff without worrying or getting in too deep! If you could go back in time, and give your past self any future advice, what would it be? It’s a bit of a catch-22, because if I hadn’t gone through the stuff to get to where I am now, I couldn’t tell my younger self otherwise he’d already learn it and then change me in the present, it’s a paradox – oh wait, I am overthinking this aren’t I? ;) I would like to tell my child self not to be afraid, and that I was free to embrace my fabulousness, my creativity and that one day you’ll be able to leave the estate and lead a happy, fulfilled life. Thank you so much Simon! 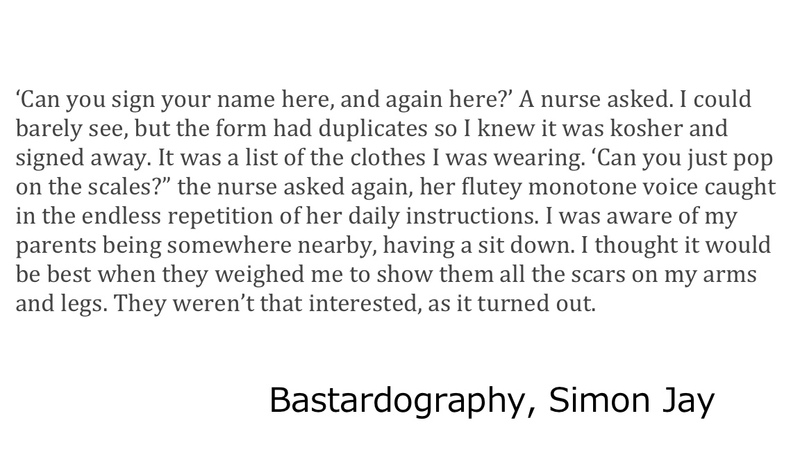 To keep up to date with Simon Jay on twitter, follow @simonjaystwit, and click here to buy Bastardography, out now. 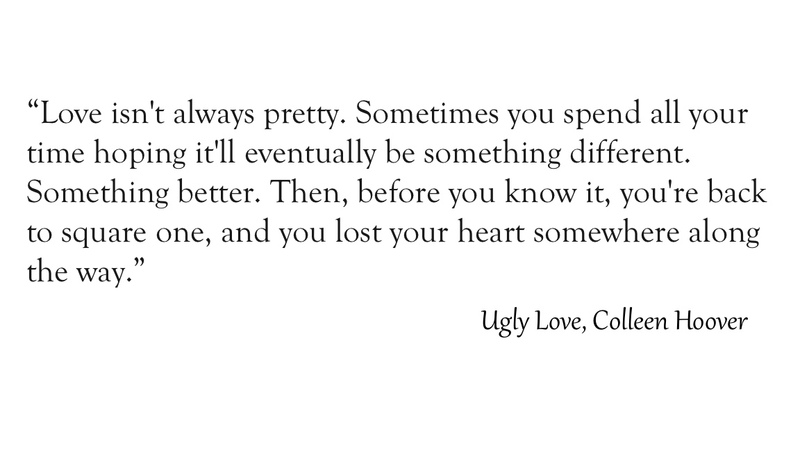 Queen Colleen - Ten Times Colleen Hoover was Right About Love, and Life. 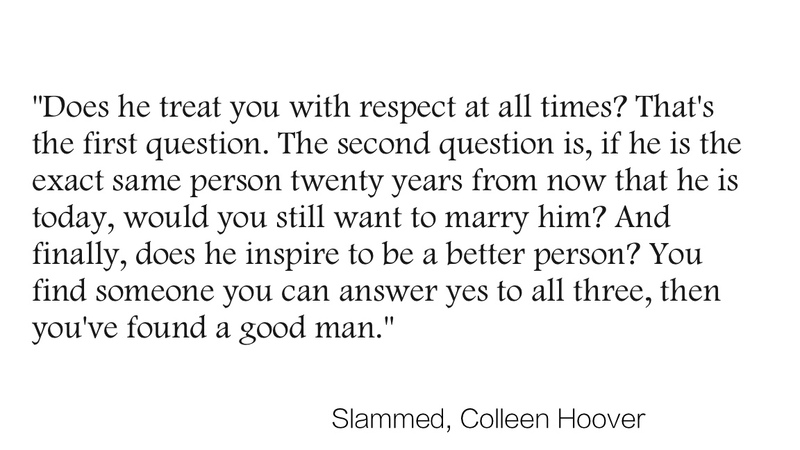 Colleen is Queen. In my last video, I called her Queen of the Feels - and I stand by it. She's awesome. 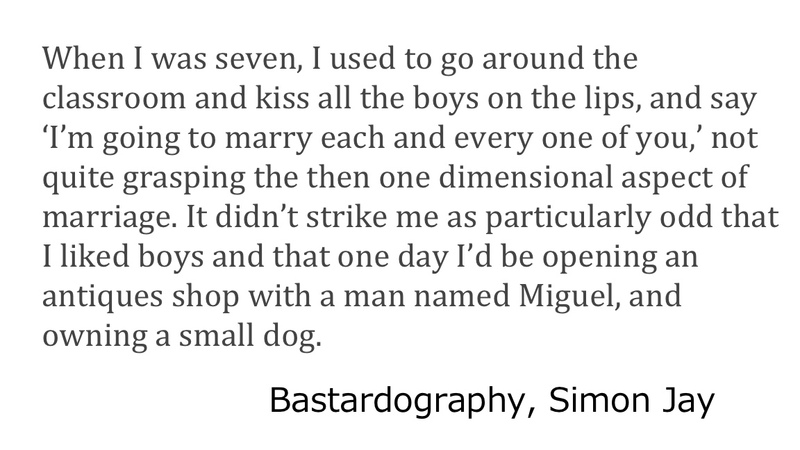 And here's ten times she was right about love and life in her (amazing) books. She manages to nail it in just a few short words. 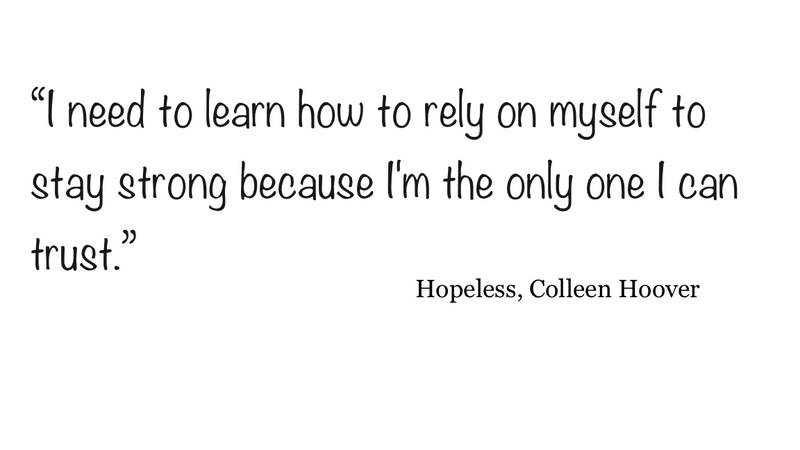 Yes, Colleen truly is Queen of the Feels. 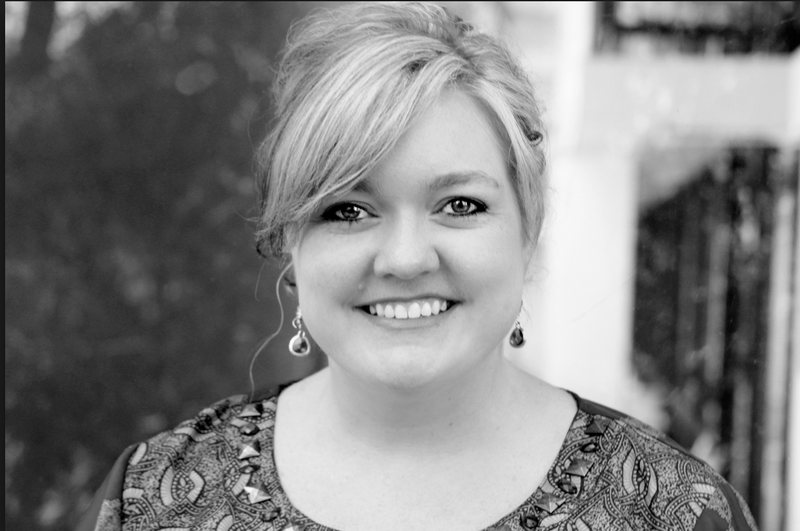 Colleen writes YA/NA romance, and is a New York Times Top Ten Bestseller. 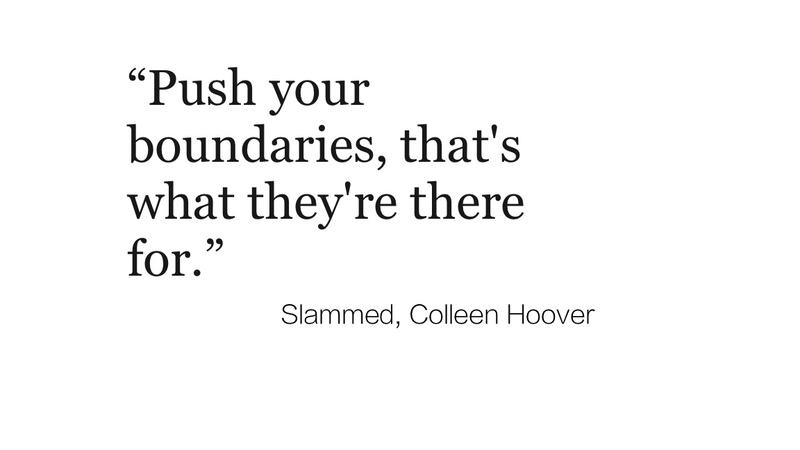 What's your favourite Colleen Hoover quote? Let me know in the comments, especially if it missed the list! The Mortal Instruments gets new book covers!